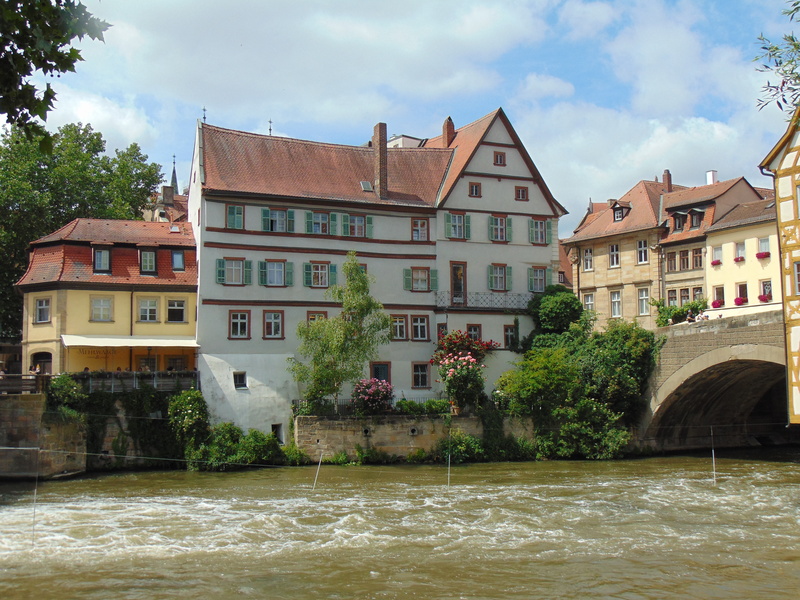 On our recent trip to Nuremberg, I was agonising over whether to take a day trip to Bamberg or Regensburg. Unable to decide after some simple Googling (and Happy Cow-ing), we asked our Airbnb host for an opinion. We might as well have asked her to choose between her two children: she just couldn’t decide either. 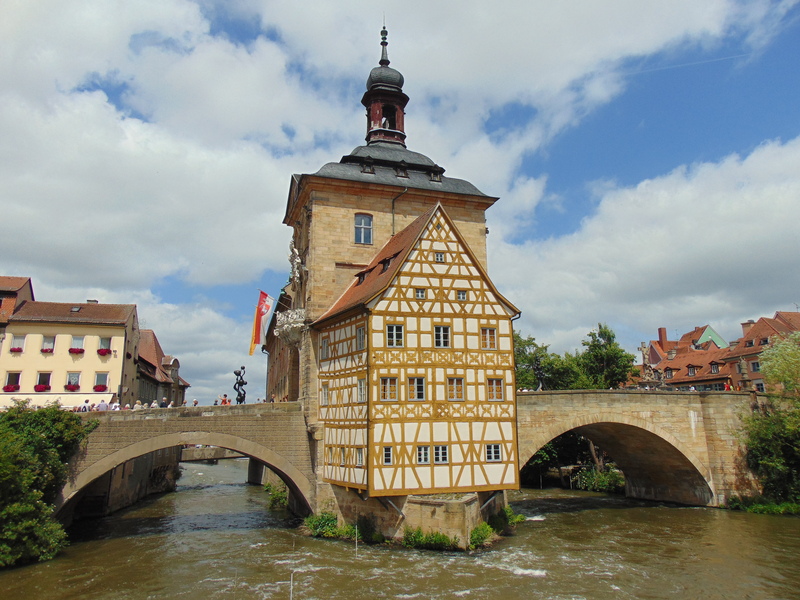 Finally, based on the prettiness of the top pics on Google Images, we went with Bamberg. Look how pretty! It’s a small, picturesque town that, to a British person, is just exquisitely European. There’s not a lot to do, of course, so we essentially just wandered around sighing over how lovely everything was. The only all-vegan listing on Happy Cow is for a food truck that was nowhere to be found when we were there. There are a few vegetarian establishments, along with a handful of omni places with vegan options, including Zapfhahn. It certainly wasn’t medium in size, it was a veritable beast! It was tasty, especially with the spicy salsa as well. Texture wise, it could have been more consistent -the edges were quite crisp, while the centre was rather soft and mushy. 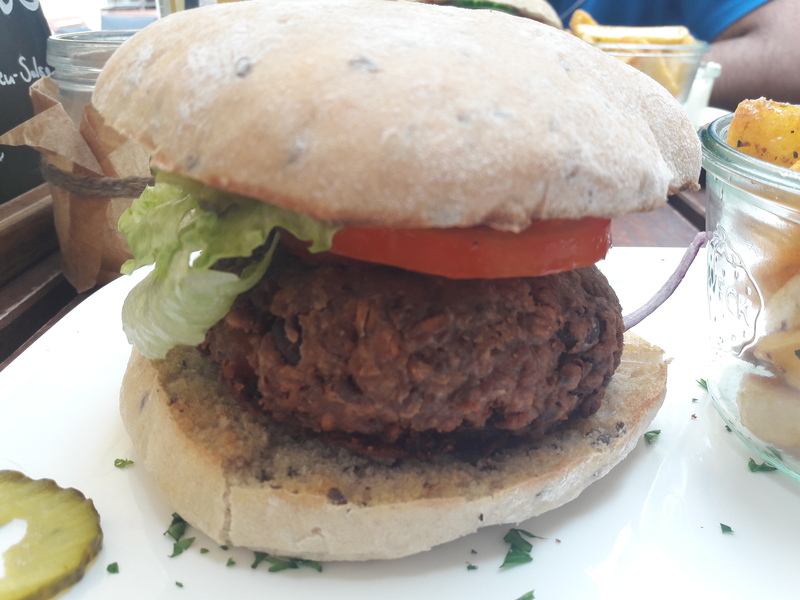 The accompanying rosemary chips were beautifully seasoned, and I would have happily scoffed another portion were I not so stuffed from the burger. It was a little pricey, but that’s probably to be expected given its location and the fact that a lot of tourists were stopping in. 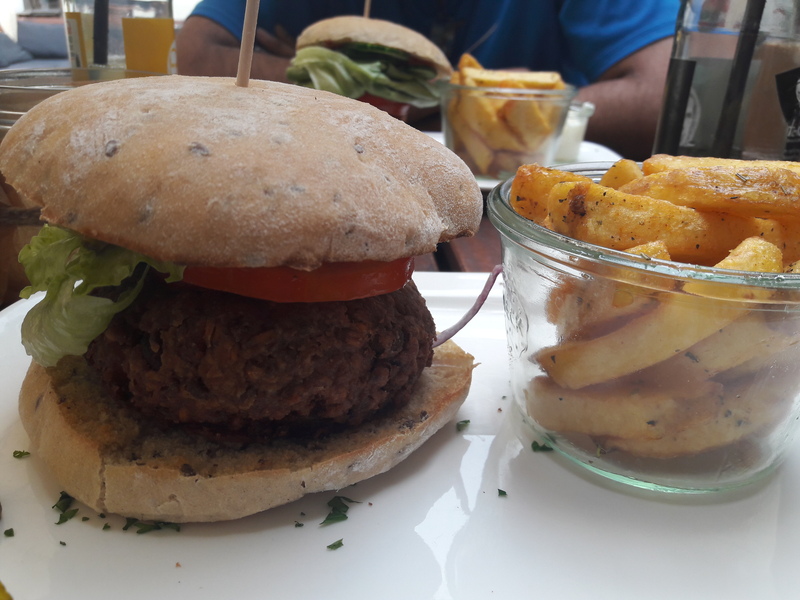 It was a bit of a shame not to have something traditionally German in such a quaint and charming little town, but really, who can say no to burger and chips?! This entry was posted in Travel and tagged vegan Bamberg, vegan travel, Zapfhahn Bamberg vegan. Bookmark the permalink. That looks such a beautiful place to go for a day trip – you made the right choice. I’m glad the food ended up being good too! Is asking vegans how they like their burgers cooked becoming a new thing?! It was confusing but fun to be asked, so I won’t be mad if it catches on!